What better way to wrap up the school year and a unit on Invertebrates, than to create an original invertebrate of one’s own? Susan Vicelli’s 6th Grade Life Science students did just that. 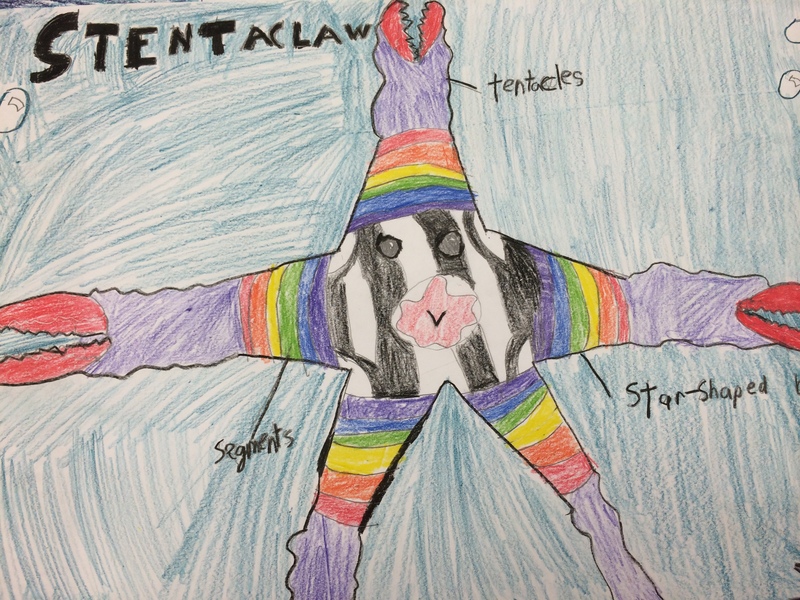 After studying the earthworm, squid, sea star and crawfish, students worked in pairs to imagine an original creature that had characteristics from each of the four they studied. The creatures were drawn out in colored pencil with detailed diagrams and labeling of body parts. Students wrote amusing and informative stories describing their creature’s evolution, habitat, feeding habits and defense mechanisms. The drawings and stories were presented in class during the last days of school. This entry was posted in Middle School and tagged Life Science. Bookmark the permalink.